Sure, buying a new house will make you want to move as soon as possible! But there are just some things you want to do first before dropping your boxes and furniture into your new place. Find out how to prepare for your next move and what else you need to double-check before the move. Moving can be a bit overwhelming, but everything will be worth it once you see your new house fully furnished and customized according to your taste and needs. Make sure to prepare your new place fully for all the stuff you’re bringing and all the people that are going to live there. 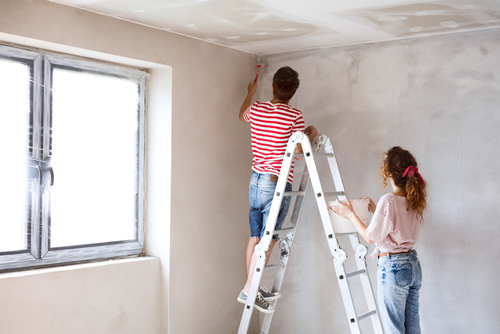 Here are some things to do before moving into your new house. You don’t want previous owners, realtors, and maintenance guys to barge into your new house with their old keys, do you? That’s why you have to install new locks and make the house officially yours. Hire a professional cleaning service or do it yourself if you have time. Make sure that you clean your house first before moving your stuff. Customize your walls and ceilings with a color that suits your aesthetic. Not only you’re giving a fresh, new look to your house, but also a hint of your personality. Avoid mismatched outlets, dirty and discolored cover plates by replacing old switch plates. This way, they will also look more uniform, and your home will feel newer. As soon as you buy a house, have a professional check and clean your heating and cooling system so you won’t have to worry about it if it gets broken at an inconvenient time. Feel home in your new place as soon as you move! Making a house your home will surely be easier than you expected when everything goes smoothly according to your plans.